The Super League features shorter races in five formats – Triple Mix, Eliminator, Equalizer, Sprint Endurance and Enduro – featuring shorter races than Olympic distance and offering £100,000 in prize money for men and women. World champion Vicky Holland and Olympic medallist Jonny Brownlee did race in the Super League Triathlon in Jersey on the weekend of 28-30 Sept. 2018. 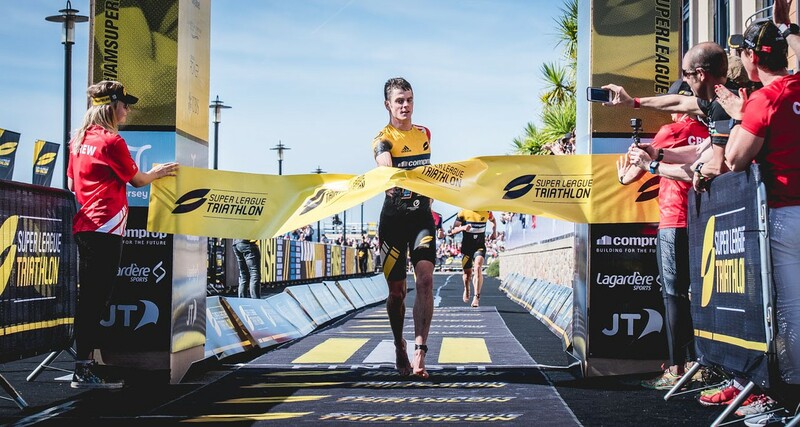 Jonny Brownlee competed against five-time World Triathlon Series champion Javier Gomez, fellow compatriot and current world champion Mario Mola and defending Super League champion Richard Murray. Triple Mix follows the traditional format swim-bike-run, followed by a run-bike-swim, then bike-swim-run, with 10-minute breaks between each phase. Eliminator features three rounds of swim-bike-run, with 10 racers eliminated in the first round and five more in the second to leave a top 10 racing for the title in a final round.